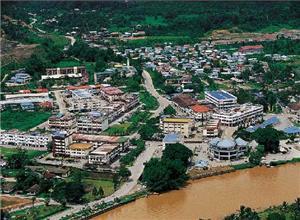 Like many of the smaller towns and villages in Eastern Malaysia’s Sarawak region, Lawas is most commonly visited by tourists, world travelers, and other types of visitors as a stopping point between larger cities. Prior to the 1990s, Lawas (along with neighboring Limbang) was considered a go-to place for “sinful” venues like dive bar-style pubs and rundown massage parlors. 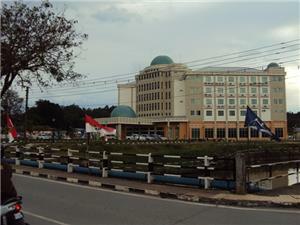 However, it is currently a local go-to destination for high quality shopping centers, agricultural projects, and tourist-quality accommodations following a major redevelopment project.Although Lawas is more or less not as well connected as some similar locations via Sarawak’s major road network, it is still easily accessible by both road and water transport. A major point of interest in Lawas for tourists and other travelers is Tamu Lawas, the city’s local produce market where a variety of local fare and street food can be experienced and enjoyed. Lawas is also home to some of the area’s most beautiful beaches, as well as several resorts and a variety of interesting local and natural landmarks such as Mount Murud. Like many smaller locations and towns off the beaten track in Malaysia, Lawas is easily accessed via the country’s excellent public transportation system. Bus travel to Lawas represents an excellent way to see the area’s beaches, farmer’s market, and local points of interest without getting lost or straying too far from the major roads. It’s also incredibly inexpensive compared to other popular ways to get around Malaysia, so you won’t find yourself left without any souvenir money at the end of your trip. Bus travel in Lawas is a great way to support the local economy and rub elbows with some of the residents as well. Get your bus ticket today and explore Malaysia’s best location the way the locals do! For more information about Bus to Lawas, check out details from us today!